When we plan our free tutorial videos we often brainstorm ideas as a team so that we can come up with cool recording or mixing tips to cover. In a recent brainstorming session we thought of a new “workshop” idea to inspire some audience participation from you, The Production Expert Community as we know many of you in our community are extremely talented and skilled in recording, so, in this article we turn the tables and ask you for some advice. How would you approach recording this drum kit in the studio with the 18 microphones at your disposal? What mic would you put where? and how? and why…?. Here’s the twist… The best three ideas posted in the comments below will be recreated, tested and featured in a future Production Expert free video tutorial. The images above show the drums positioned in the corner of the studio. When we get to record your ideas we will reposition the kit more into the middle of the room. How Would You Approach Recording These Drums? The studio that we will be recording the drums in has some really nice mic preamps and other outboard gear but we will leave those items alone in this test as we want this workshop to be all about mic choice and mic placement at source and not about frontend colour or “analog character”. For recording we will be using Focusrite Clarett interfaces as these deliver amazing clean results at super low latency. 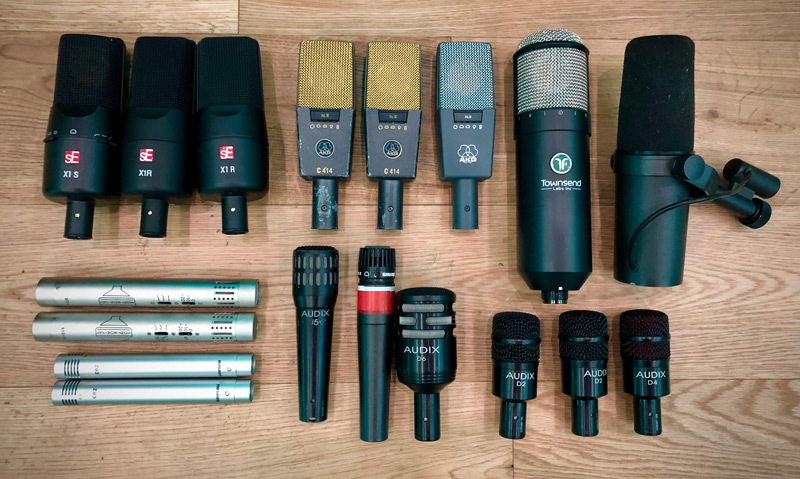 This 8Pre & OctoPre combo we’ve spec’d for this workshop also provides us with up to 16 mic pres (though we don’t have to use all 16 ins to record this kit but we can if we want to!). what angles the spot mic should be set at. 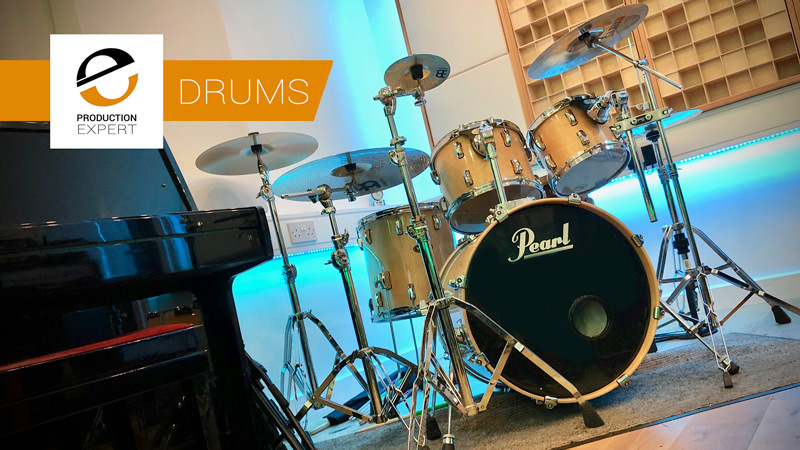 We know that without you physically being in the studio with us, and the drum kit for that matter, it maybe a bit challenging for you to get your drum mic’ing ideas across but don’t let that stop you from sharing your thoughts. Use your imagination and be creative as there’s a strong chance you’ll share a drum mic’ing idea that we haven’t tried yet or shared on Production Expert. The video we plan to produce off the back of this “workshop” themed post featuring three of your coolest drum mic’ing ideas will be published towards the end of February 2019. How Do I Post My Suggestions? For some extra fun whether you have posted any suggestions or you want to support someone else’s suggestion you can use the voting option in the Disqus comments.